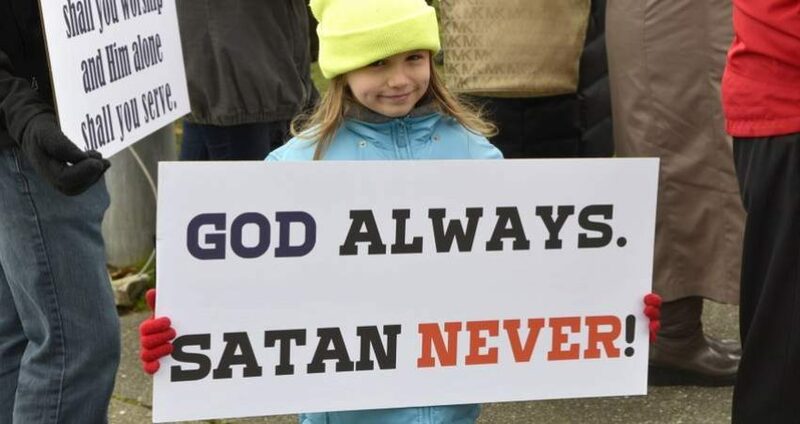 The spiritual struggle between good and evil was apparent at Point Defiance Elementary School in Tacoma, Washington, as dozens of people gathered to protest the opening of an After School Satan Club that targets children as young as five. The Satanic Temple opened its first Satan Club — also amid protest — in Portland, Oregon, and plans to start more in other cities. There is a broad attempt to eradicate the very notion of “one nation under God” by increasing the number of public sacrileges and blasphemies. 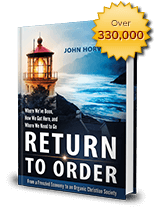 The satanic revolution is gnawing at our nation’s moral fabric, numbing our culture to the horror of sin, and paving the way for more sordid aberrations. For example, a public Satanic Black Mass was held in Oklahoma City earlier this year and a statue of the Blessed Virgin Mary was desecrated by Satanists in front of Old Saint Joseph’s Cathedral in the same city on Christmas Eve. However, as the forces of darkness strive to mainstream Satanism in America, more and more parents and faithful are stepping forward to block its advance and protect the innocence of their children and future of Christian Civilization. A parent whose child attends Point Defiance Elementary School spoke of her distress. However, her voice as well as the voices of other parents are not given the importance they deserve. Their parental rights to oversee the education of their children is being trampled upon. Against their parental authority, Satan was given access to their children’s school. Catholics are on the front lines of this spiritual battle. In fact, a contingent of TFP members traveled from California and Pennsylvania to Washington state where they joined forces with local Catholics, including America Needs Fatima volunteers and Public Square Rosary Rally captains. Their message was clear: Satan is evil. Evil has not rights. Protect our children. Keep Satan out of our schools. During the peaceful protest, Saint Michael, Captain of the Angelic Hosts, was invoked repeatedly over the bullhorn by veteran TFP member Philip Calder. As the faithful prayed, a man across the street yelled loudly: “Hail Satan.” His dark cry did not deter the prayer warriors on the sidewalk who continued invoking the Queen of Heaven with their rosaries. At the end of the protest, TFP volunteers formally presented 103,000 petitions collected online against the Satan Club to Point Defiance Elementary School. The box of petitions, along with a letter addressed to school principal, Lisa Boyd, was received by Dan Voelpel, executive director of communications for Tacoma Public Schools. He thanked the TFP representatives for delivering the petitions and mentioned that the protest was getting attention.News crews had arrived to report on the protest. This entry was posted in Featured and tagged petition, protest, public rally, rosary, Satan club, satanism by John Ritchie. Bookmark the permalink.